Your career resume is impressive, filled with accomplishments that you are proud of. And yet, you know inside that you want more. More meaning, fulfillment, happiness, health and time for what is truly important to you. Moving from success to building your legacy can be overwhelming. The challenging part is how to get started. 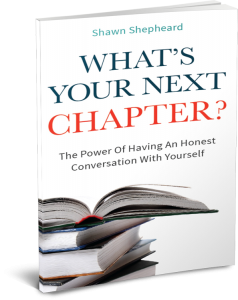 That’s where What’s Your Next Chapter by Shawn Shepheard can help. Shawn believes that you need to ask yourself these two simple questions: “Where are you now?” and “Where do you want to be?” He explains how he can help you get to the answers by scheduling one of his customized Discover Sessions. He also explores how group coaching programs with other successful professionals and personal executive coaching will help you focus on what you want your next chapter to look like and how to move into immediate action. 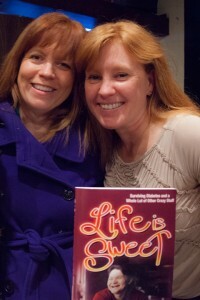 Most people attend a workshop, keynote presentation, read a book and might feel inspired and ready to change. Unfortunately that feeling doesn’t last long, and they return to the regularly scheduled programming of their life. Reading this book will help you change that. Now you can get unstuck and start writing the next chapter of your life. All progress starts with telling the truth. If everyone laughs at you and thinks you’re crazy, that’s a sign it’s a good idea.